President Obama signed the Patient Protection and Affordable Care Act (PPACA) into law on March 23rd, 2010. The new law puts in place comprehensive health insurance reforms that will roll out over the next eight years, with most changes taking place by 2014. The PPACA incorporates two strategies for expanding healthcare coverage. The first strategy for expanding coverage is a mandate for all individuals to purchase insurance, paired with the creation of state-based insurance “exchanges” and subsidies to help people whose incomes are less than 400% of the federal poverty level to purchase healthcare coverage from private insurers . The second strategy for expanding coverage is an expansion of Medicaid, underwritten by the federal government, to cover all adults whose family income is less than 133% of the federal poverty level (children of such families are already eligible for public coverage) . For 2010, several provisions of the Patient Protection and Affordable Care Act (PPACA) were put into place, including new consumer protections (such as prohibiting the denial of coverage to children based on pre-existing conditions and the elimination of lifetime limits on insurance coverage), the improvement of quality and lowering of costs (such as free preventive care and small business health insurance tax credits), and the increase in access to affordable care (such as the extension of coverage for young adults and holding insurance companies accountable for unreasonable rate hikes) . There has been much disagreement between Democrats and Republicans over the PPACA. Indeed, Republicans in both the House and Senate unanimously voted against it. With Republicans retaking the majority in the House of Representatives last month, many people are asking what it means for healthcare reform. Dr. Gavin Yamey, M.D., lead of the Evidence-to-Policy Initiative at the UCSF Global Health Group, wrote a guest post at the Public Library of Science (PLoS) Medicine community blog, Speaking of Medicine to address the question Can the Republicans Repeal Health Reform? Although he doesn’t think full-scale repeal legislation is likely, he details three other ways that Republicans could impede the PPACA. Dr. Maggie Mahar, Ph.D., guest posting at KevinMD, agrees that the PPACA won’t be repealed. Nonetheless, she addresses the possibility of repeal, asking if health care reform is killed, what happens? Public support for healthcare reform faltered over the summer. Shadowfax, an ER physician and administrator, thinks that there may be movement towards increased public support for the PPACA. He reports on the results of two recent polls at Movin’ Meat indicating that the health care reform law is gaining public support. The fight to control healthcare costs has been going on for decades. In 1997, Medicare payment cuts were scheduled in an attempt to tie Medicare rates to overall economic growth. However, since 1997, Congress has passed legislation to avert every single cut. Why? Because they understand that cuts in compensation for care would reduce access to care (we’re not sure why they didn’t consider that back in 1997!). The latest Medicare payment cut was scheduled for this month but was postponed yet again. Henry Stern at InsureBlog announces that the (doc) fix is in … or is it? Expansion of Medicaid is one of the ways in which the PPACA will increase the insured population in the U.S. over the next few years. Although Medicaid is jointly funded by federal and state dollars, it is up to the states to implement the program and decide ways to restrain expenses. With states currently experiencing widespread budget issues, Amy O’Connor at LillyPad is thinking about cost containment in Medicaid. Although controlling costs is a primary objective of the Patient Protection and Affordable Care Act (PPACA), health reform shouldn’t mean an end to compassionate care. Indeed, Julie Rosen, executive director of the Schwartz Center for Compassionate Healthcare reports at Bedside Manner that patients and doctors strongly support compassionate healthcare. In addition, the new law addresses overpayments to big insurance companies and strengthens medicare advantage. To ensure that premium dollars are spent primarily on healthcare, the PPACA generally requires that at least 85% of all premium dollars collected by insurance companies for large employer plans are spent on healthcare services and healthcare quality improvement. Bob Doherty at the ACP Advocate Blog thinks that insurance companies spending more money on patients is a reason for thanksgiving. And how will these changes affect healthcare premiums? Leading Republicans in Congress are blaming the PPACA for double-digit rate increases being sought by insurance companies in several states. However, healthcare experts and health insurance companies mostly blame rising medical costs; the new benefits mandated by the PPACA are responsible for only a small portion of the premium increases. Dr. Michael Bihari, M.D., reports at the Health Insurance Blog that GOP leaders exaggerate the impact of health reform on premium increases. What about the pharmaceutical industry? The PPACA will have a number of direct and indirect effects on big pharma. Starting in 2011, an annual tax could potentially affect research and development through the availability of new grants and tax credits . Moreover, comparative effectiveness research activities initiated under the PPACA, amendments related to fraud and abuse, transparency initiatives and a new regulatory pathway for biosimilar biological products will all have significant impact on pharmaceutical manufacturers . 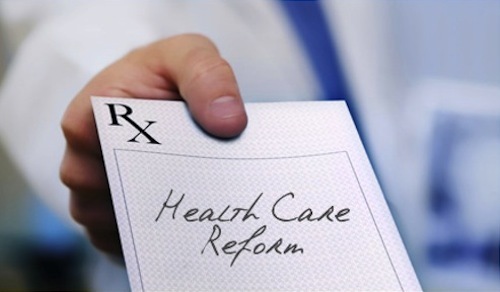 Dr. Sally Church, Ph.D., shares her perspective on the PPACA impact on pharma marketing at the Pharma Strategy Blog, describing how ObamaCare healthcare reform will impact Pharma. At Pharmalot, Ed Silverman wonders what healthcare reform will mean to prescription drug pricing. He discusses a recent U.S. Congressional Budget Office (CBO) analysis of the PPACA and the Health Care and Education Reconciliation Act of 2010 detailing how healthcare reform will hit drug prices. One of the expressed aims of healthcare reform is cost containment. Dr. Philip Hickey, Ph.D., at Behaviorism and Mental Health suggests that the pharmaceutical industry is actively working to increase expenditures in this area, and discusses the relationship between the psychiatrists, the drug reps, and the green, green dollars. In 2012, the Patient Protection and Affordable Care Act (PPACA) will further improve quality and lower costs by linking payment to quality outcomes, encouraging integrated health systems, reducing paperwork and administrative costs and understanding and fighting health disparities . In addition, new, voluntary options for long-term care insurance will increase access to affordable care for adults who become disabled . At the Covert Rationing Blog, Dr. Rich Fogoros, M.D., provides more evidence that the health insurers will become public utilities, suggesting that the American health insurance industry supported healthcare reform because the plan provided them an exit strategy from a now-defunct business model. Steve Benen at Political Animal has evidence suggesting otherwise, claiming that insurers spent heavily to kill health care reform. In 2013, the Patient Protection and Affordable Care Act (PPACA) provides new funding to state Medicaid programs that choose to cover preventive services for patients at little or no cost, increased Medicaid payments for primary care doctors, expanded authority to “bundle” payments (under payment bundling, hospitals, doctors and providers are paid a flat rate for an episode of care rather than the current fragmented system where each service or test or bundles of items or services are billed separately to Medicare) and additional funding for the children’s health insurance program . The PPACA calls for removing financial barriers for many preventive services (see years 2010, 2011 and 2013) and analysts predict it will likely create a greater demand for these services and give physicians a better opportunity to provide preventive care . The most important part of preventive healthcare is maintaining good health habits, including proper nutrition, exercise, weight control, sleep and management of stress. At DrPullen.com, Brooke Douglas, R.D., C.D., provides 8 great tips to change habits. Preventive care refers to measures taken to identify medical problems early and treat them more cheaply and effectively than if they were addressed later once symptoms appear. Guest posting at KevinMD, Dr. Lucy Hornstein, M.D. argues that preventive care as a cost saving measure is a fallacy. Fran Melmed gets worked up when people call efforts to improve employee health a “program”. Writing at free-range communication, Fran suggests we stop calling it a wellness program. In 2014, several provisions of the Patient Protection and Affordable Care Act (PPACA) impart new consumer protections (such as prohibiting discrimination due to pre-existing conditions or gender), improve quality and lower costs (such as establishing health insurance exchanges), and increase access to affordable care (such as increasing access to Medicaid) . One of the purposes of state-based insurance “exchanges” is to offer consumers a choice of health plans and focus competition on price . However, over 50% of Americans get their health insurance through their employers. Louise Norris at Colorado Health Insurance Insider suggests that most Americans don’t get to make their own health insurance choices. In 2015, a provision of the Patient Protection and Affordable Care Act (PPACA) will tie physician payments to the quality of care they provide. Physicians who provide a higher value of care will receive higher payments than those who provide less value . Certainly a lot of changes in five years! And how did we get here? David Williams, writing at Health Business Blog, suggests that all roads lead to health reform. In particular, the defense budget. The recent presidential commission to reduce the deficit also focused on domestic and military spending programs. Ryan DuBosar at the ACP Internist reflects on the report; he finds the deficit plan intriguing, despite the lack of votes. That concludes this edition of Grand Rounds: the Impact of Healthcare Reform. It’s been great hosting Grand Rounds for the second time (the first was the 2008 Grand Rounds Holiday Edition). I’d like to thank everyone that submitted articles. All Patient Protection and Affordable Care Act (PPACA) provisions described can be found at HealthCare.gov. For a detailed implementation timeline of the PPACA, see Timeline of the Affordable Care Act. The next edition of Grand Rounds, Vol. 7 No. 12, is being hosted by Dr. John Mandrola, M.D. at Dr John M on December 14th. Sommers and Epstein. Medicaid expansion–the soft underbelly of health care reform? N Engl J Med. 2010 Nov 25;363(22):2085-7. Provisions of the Affordable Care Act, by Year: 2010. HeathCare.gov. Accessed 2010 Dec 5. Provisions of the Affordable Care Act, by Year: 2011. HeathCare.gov. Accessed 2010 Dec 5. Healthcare Reform Law: Impact on Pharmaceutical Manufacturers. Morgan Lewis. 2010 Apr 15. Provisions of the Affordable Care Act, by Year: 2012. HeathCare.gov. Accessed 2010 Dec 5. Provisions of the Affordable Care Act, by Year: 2013. HeathCare.gov. Accessed 2010 Dec 5. Health Care Reform Law Will Increase Demand for Preventive Services, Say Experts. American Academy of Family Physicians (AAFP) News Now. 2010 Jul 28. Provisions of the Affordable Care Act, by Year: 2014. HeathCare.gov. Accessed 2010 Dec 5. Explaining Health Care Reform: What are Health insurance Exchanges? Focus on Health Reform. The Henry J. Kaiser Family Foundation. 2009 May. Provisions of the Affordable Care Act, by Year: 2015. HeathCare.gov. Accessed 2010 Dec 5.